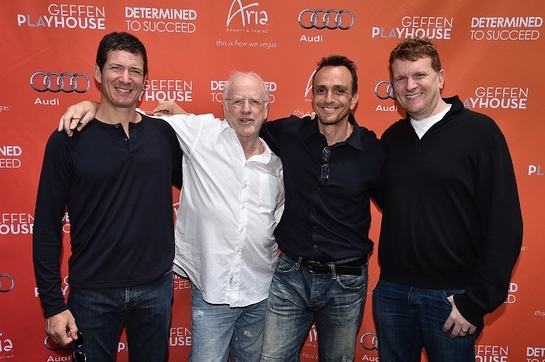 Saturday’s sold out seventh annual Playing for Good poker event hosted by Hank Azaria, co-founder of Determined to Succeed (DTS), benefited two LA-based nonprofits: The Geffen Playhouse and Azaria’s DTS. Pictured (L-R) Jerry Greenberg, Bruce Stern, Hank Azaria, Gil Cates Jr.
Over 150 players including Hank Azaria, Teri Hatcher, Jennifer Tilly, James L. Brooks, Willie Garson, Jon Landau, Grant Heslov and Kevin Pollak participated in the deep stack no-limit hold’em tournament sponsored by ARIA Resort & Casino. Oscar nominated actress and avid poker player Jennifer Tilly was the big winner, the first female to take top honors in the event’s history. Other winners included: actors Kevin Pollak and Teri Hatcher, Phil Laak, David Edwards, Eddie Cruz, Max Mashour, Fred Wolf, Brian Smith and Andrew Hill Newman. Held at a private home in Santa Monica, guests received mini-makeovers, massages and manicures by Bliss Spa. Culinary delights ranged from grilled selections, courtesy of Well Done Catering, to fresh sushi from Sugarfish and Black Market Gelato desserts. Bulgari provided one “lucky lady” with a chance to visit their Beverly Hills salon, selecting from a treasure trove of fine jewelry and watches to be worn at an event of the participant’s choosing. The winner of the main event received a one of a kind bracelet specially designed for the event, courtesy of Readers Fine Jewelers. Determined to Succeed is dedicated to providing an exceptional group of low socio-economic students with comprehensive year-round support. Students are guided from the middle school years through high school and the college acceptance process. The program tutors and mentors these students by empowering them with more confidence, stronger self-esteem, and a better education. Geffen Playhouse has been a hub of the Los Angeles theater scene since 1995. 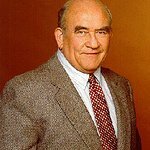 Noted for its intimacy and celebrated for its world-renowned mix of classic and contemporary plays, provocative new works and second productions, the not-for-profit organization was named in honor of entertainment mogul and philanthropist David Geffen, who made the initial donation to the theater. The company was founded by Gilbert Cates, and is currently helmed by Artistic Director Randall Arney, Geffen Playhouse Board Vice-Chair Gil Cates Jr. and Board Co-Chairs Martha Henderson and Pamela Robinson Hollander. Proudly associated with UCLA, the Geffen maintains an extensive education and outreach program.